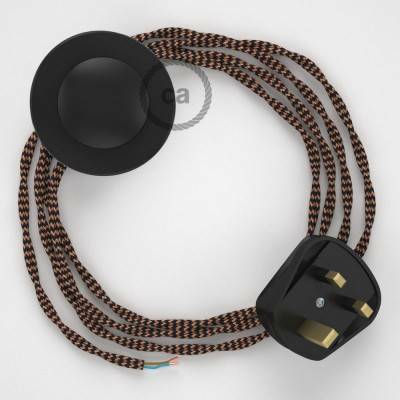 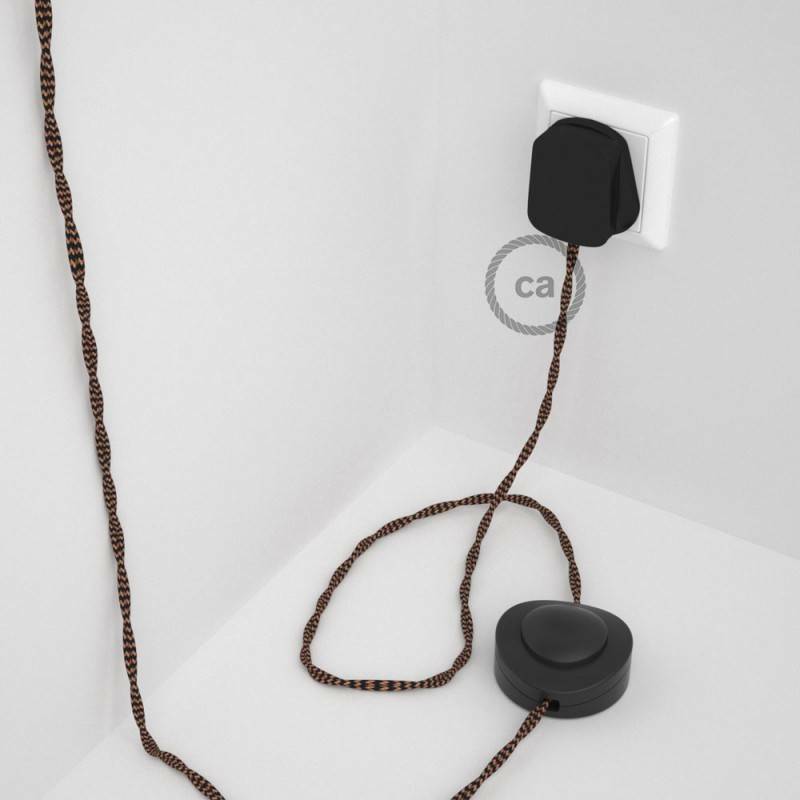 Wiring Pedestal, TZ22 Black and Whiskey Rayon 3 m.
Give new colour to your floor lamp thanks to the TZ22 Black and Whiskey Rayon Twisted fabric cable, complete with switch and plug. 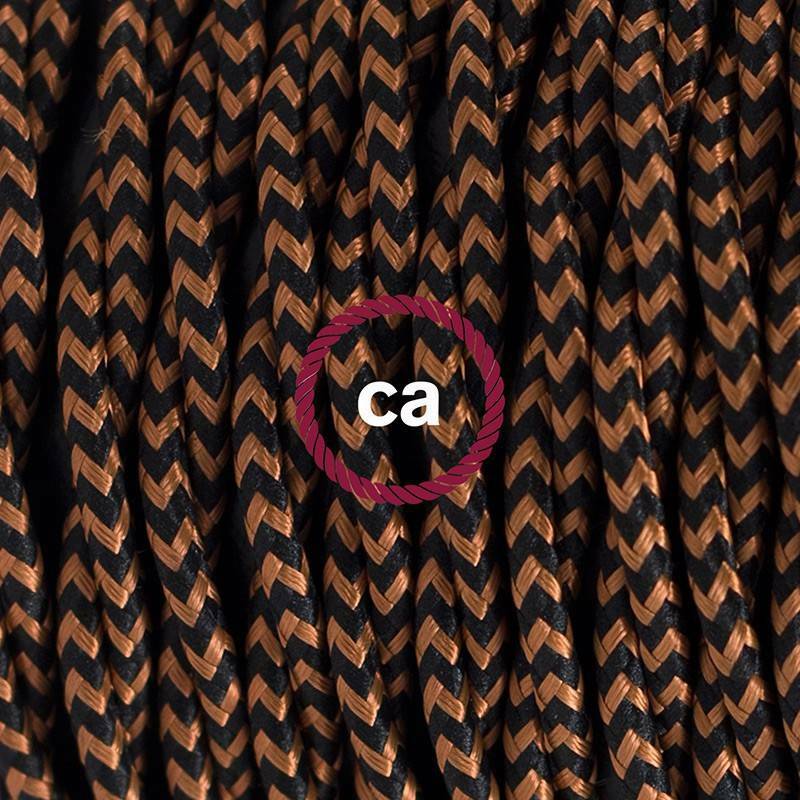 Cable colour: TZ22 Black and Whiskey. 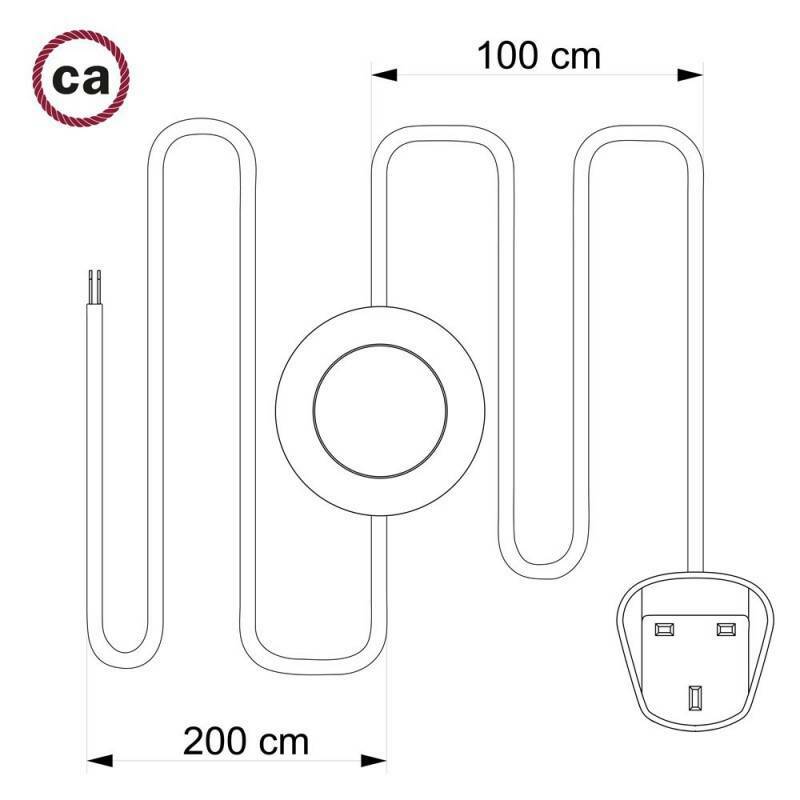 Lamp wiring, TC43 Dove Cotton 1,80 m.
Lamp wiring, TC63 Green Grey Cotton 1,80 m.